Building up a business from scratch it’s not an easy feat. Although most people don’t know otherwise, there is another fleet of business people out there that have mastered the art of buying and selling other businesses. Not only buying an existing business might give you a head start, but it might also allow you to scale the operations quicker, as most of the initial reisk and investment has been taken over by someone else. Michael Bereslavsky is the founder of Domain Magnate. That is a company which sells and acquires e-commerce, affiliate and content businesses, primarily. Michael is very active on Flippa, one of the most important marketplaces for selling and buying websites. He has a track record in buying and selling businesses online, that is why I took the opportunity to ask him a few questions so that if you want to get this business model going you know where to start! What drove you toward the trade of buying and selling websites? I started my first online business back in 2004-2005 and I quickly learned about SEO (back then it was much easier! ), building sites, writing content and finding affiliate programs to promote. After a lot of trial and error I started making a good income from my websites and was looking for opportunities to invest the extra funds, to help grow the business. Since building new websites, adding content, and promoting to get traffic was time consuming, the next logical step was to buy established sites. I started by buying several small sites for about $100 each, growing them further. At the time my plan was just to increase cash flow and maintain a growing portfolio of websites. Later I also discovered the potential in selling sites. An established online gambling company contacted me about a site I bought for $130 in 2005, and they offered $2500 for it. The site was only making a few dollars per month, so it was a great deal. After many similar deals a profitable business was born. Another site I bought for $650, managed to grow, monetize better, and resold for $20K a year later – over a decade ago. Since then I’ve continued buying, managing and selling websites, transitioning to bigger deals and also acquiring more established online businesses. More than a decade and a half later, I still love looking at and evaluating different online businesses, learning new skills, making deals and helping people quickly and safely exist their online businesses. What key aspects do you look for when buying a website? Every deal starts and ends with numbers! It’s all about revenues, expenses, and price. Additionally I pay extra attention to trends, risk profile of the business and key opportunities for improvement. What suggestions do you have for those looking to sell their website? Prepare upfront, decide on a timeline. How fast do you intend to sell your business? Keep in mind – it always takes a lot longer than you expect. Get your finances in order. Make sure you have the exact revenues, expenses month by month for the past 12 (or at least 6) months. Based on your timeline decide on a strategy. If you’re not in a hurry to sell – focus on increasing value first. Look into optimizing the numbers. Can you reduce expenses? Can you monetize the business better? Make sure the business is completely managed for easy transition, hire freelancers/employees, create SOPs to standardize the operations and remove yourself from the equation – if you were doing much of the work until now. Buyers want to see a business that is easy to manage! 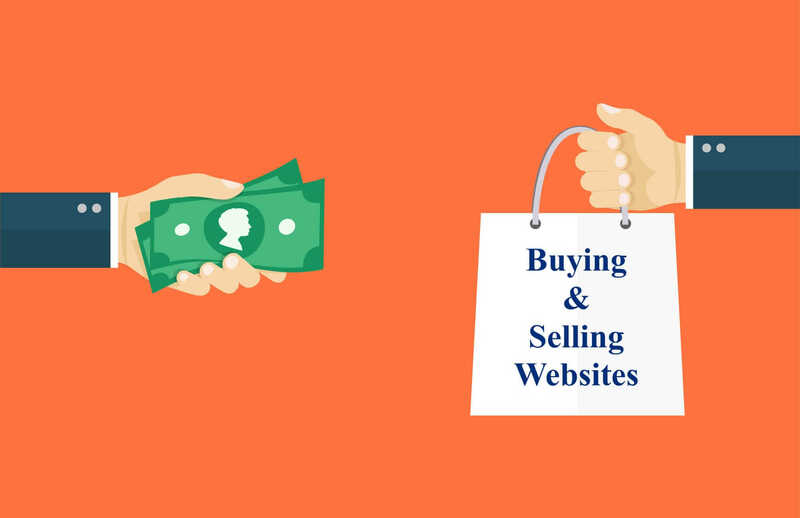 If you are looking to sell quickly go with a professional direct buyer, like us, or check if you know anyone buying similar websites within your network. You can also list in marketplaces and with brokers depending on the type of business and range. Have a sales agreement in place, and make sure all aspects of the deal are clearly outlined and discussed prior. Provide good after sale support! What methodologies are most used to determine the valuation of a website? For anyone wanting to start to buy and sell websites what’s your advice? Start small and learn! I’ve seen a lot of people entering the market, spending most of the funds on a website, only to realize later on that they don’t know how to manage it efficiently, haven’t done proper due diligence, or worse yet, were scammed by an unscrupulous seller. If you start by buying a few small websites and see it as a learning experience, to see if you can grow and improve them, you’ll be able to acquire the skills and expertise required to be successful in the market before you make any bigger decisions. What business book or books, if any, would you suggest to the community? What business person do you follow the most? I don’t follow any business personalities closely, but if I had to pick one that would be Warren Buffett, as I’ve tried to learn from his investing style, and used a similar value based approach in investments in businesses, real estate, startups and domain names. I also listen to a lot of podcasts, my favourites are currently Tim Ferriss and The Kevin Rose show. If you’re considering to sell your business contact us via https://www.domainmagnate.com/sell/. Also feel free to follow me on facebook https://www.facebook.com/DomainMagnate and other social media.